Hi Joe. I am 5-2, 100 lbs and have been sleeping on a tempurpedic cloud for the last 8 years. I never really loved the bed and now I hate it. I sleep hot but worse, I am mostly a side sleeper and keep waking up because my hip is in pain- I feel like the bed is pressing up against me too hard and is making my hip numb. I know I need a new bed, and am willing to pay for something that will help me sleep. I don’t want another memory foam bed, and while latex is appealing (I also have a bad dust mite allergy), they all seem like they might be too firm for me. I also need white glove delivery. So am thinking of the purple bed and wondering if you think the 4 would be good, or if you have another recommendation. I would check out the Nolah. I think you would really like it. I am miserable. Sleep Number for about 8 yrs which caused hip pain. Tossed out a Simmons that my daughter bought me, pressure on shoulders, hips and knees. Just purchased a Serta Perfect and have extreme pain, nightly, entire left side, from shoulders to ankles- not kidding. Toss and turn constantly. Very little sleep. Cannot return mattress. I need sleep. Comfortable sleep. I don’t know if the mattress is too soft (pillow top) or too firm. Have added various toppers to no avail. I think my heavier hips and bottom are bottoming out now that I read your reviews, but I really have no clue. I don’t want to waste another dime. Great reviews btw but still couldn’t garner a definitive answer. I do sleep hot. Nolah or Layla or Amerisleep or Loom and whatever? Please, and thank you so much. 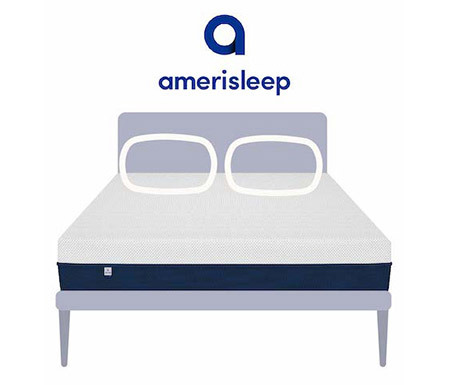 Maybe the Amerisleep AS4, especially if you sleep hot. I am 5’2” and weigh 135. My husband weighs 250. I’m a side sleeper and having a lot of hip pain. My husband prefers a more firm mattress but I would like more soft. We are considering Loom and Leaf. Do you have any other recommendations? Consider Helix, where you can customize two sides of the mattress for your different preferences. I’m a side sleeper and am 5’2″ weigh about 145. I have alot of shoulder/hip pain and am looking at either the Layla or Nolah. What do you recommend? Either will be good for you. Go with your gut. I have hip and back pain in bed. 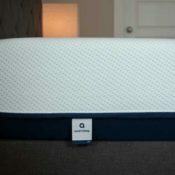 I purchased the Amerisleep 5 and still have pain – maybe worse. really, really soft? I don’t like thin mattresses – such as 10″ thick! So I need soft comfort and a thicker mattress! Please help! just bought a beauty rest black ice twin xl…very expensive. having a little pressure on my shoulders since I am a side sleeper (too firm I guess). 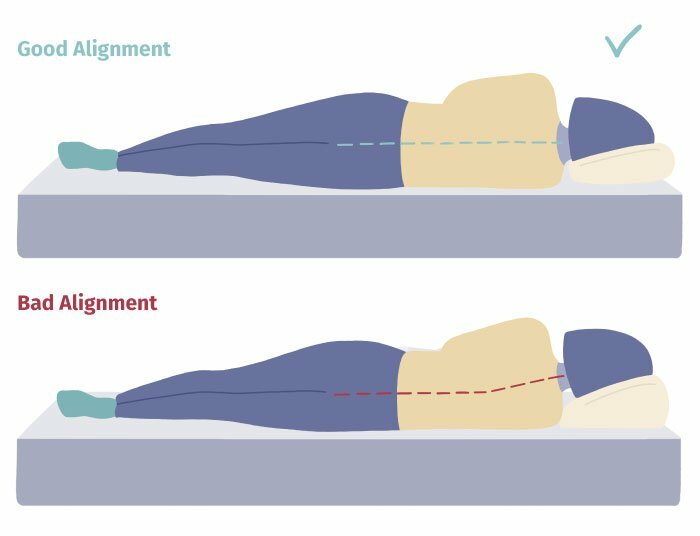 can I buy a adjustable frame to help relieve pressure for side sleeping? do you carry them? We don’t sell adjustable frames on this website. I am 5’10” 200 pounds with chronic neck, shoulder and back pain. I am a dedicated side sleeper. I have chronic joint pain due to disease. My current mattress is a firm pillowtop. What would you suggest? I’ve never slept on anything but a traditional mattress. i comfort Serta Blue fusion 200 for side sleepers? Too soft? That should be pretty good for side sleepers as well. I’ve only reviewed one of those models so far. Hi, are you guys still in business? I keep asking for a recommendation but get no response. The replies in this section are a month old and they never change. It seems you’ve quit. LOOME AND LEAF IS NOT GOOD FOR SIDE SLEEPERS! I STARTED GETTING HIP PAIN SINCE I HAD THIS AND AM LIKELY GOING TO RETURN IT. THEY EVEN OFFERED TO SEND ME A MATTRESS TOPPER. WHICH MADE IT SLIGHTLY BETTER. THIS MATTRESS.. YOU SLEEP ON TOP OF IT. MY FEET ARE IN THE AIR. YOU DO NOT SINK IN LIKE MEMORY FOAM AT ALL. Hi Joe!!! Thanks for the in-depth and informative reviews! I am wondering what you would recommend for me. I am a side sleeper in my 20s, weigh 160 lbs with a height of 5’3″. I prefer to sleep on my side but once in a blue moon will sleep on my back. My partner spends the night over the weekends. He is a back sleeper, weigh ~180 lbs and height 6’1″. What would you recommend? Thank you! 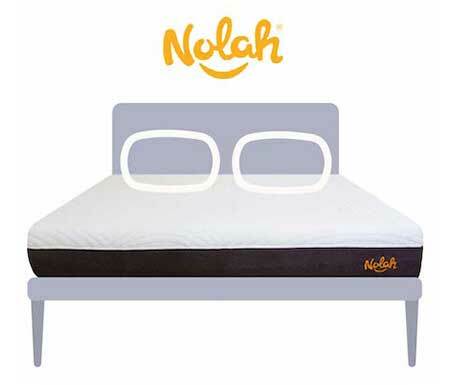 The Nolah should be a good choice. I would take a look at the Original Purple. Hi Joe – I weigh about 100 pounds and have arthritis in my hips and lumbar spine, while my husband weighs 180 pounds and has some shoulder and back pain. Both of us sleep on our sides most of the time and occasionally on our back. What mattress(es) do you recommend? I would get the 12″. It will have more comfort material for people that are a little bigger. 195 lbs. would be borderline for being appropriate of the 10″. The 12″ should be a good fit. I already have lower back problems, currently having shoulder issues with my mattress, I’m active, and in my mid-30s. I usually sleep on my side (left/right). What mattress do you suggest I get to relieve pain in lower back and shoulder? Do you have any information about the 8″ Cloud Nine bed? Is an adjustable bed frame a good choice for a side sleeper? I don’t know anything about the Cloud Nine bed. Any adjustable bed frame should be just fine for a side sleeper. Hi: I’m looking for a suggestion on a mattress. We are both side sleepers. We currently sleeping on a Sleep Number Queen and I hate it. The hammock effect is not helpful. I have developed pain in my right hip and cannot sleep on that side on the Sleep Number. I am around 210 lbs and 6′ tall. I like the look of the Nola 12″ but want your take. 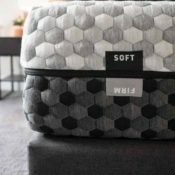 Looking for lots of comfort and quality but not super soft. I’m going to keep the adjustable platform that came with sleep number. My partner likes slightly firmer than me but I think she would be happy with good support. Thanks. I would do the Purple. 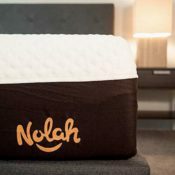 The Nolah may feel too soft for you. Joe what do you recommend for side sleepers on a budget Layla,Nectar or Casper.? All three of those should work fine. Looks like a good night sleep! I am in my seventies and I have a rebuilt body with a new knee and a new hip. 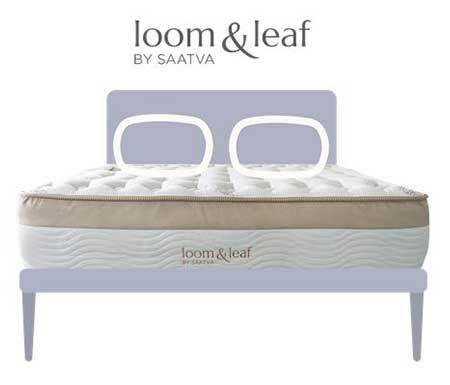 I would recommend the Loom and Leaf mattress for my body type and comfort to people like me. I really need your help to pick one mattress, since you guys have so many options and reviews. I do sleep on my back and side most of the times and I want to know what would you pick for me? Thanks for all the work you do in reviewing these mattresses. I am a side sleeper and currently in the trial period with a Casper Wave. I thought it would be AMAZING but it’s just too firm. It’s great when I first get in it, but overnight does not provide enough give for my shoulder; it kind of flattens out and feels hard. I’m really interested in trying Nectar or Layla or Leesa. I laid on the Leesa at a West Elm and right away it was better than the Wave. I’ve read some comments here from side sleepers who didn’t like Leesa though. 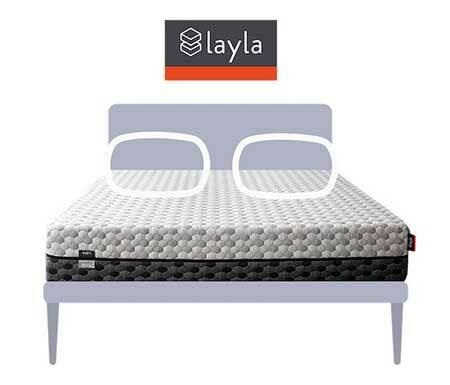 Between Nectar and Layla, what’s better for a side sleeper? Layla seems like it’s the softest out of the three, which is appealing to me, but there’s something about Nectar that really interests me (plus it’s the cheapest); I see SO many great reviews of it. How do you think it would REALLY fare for a dedicated side sleeper? Out of those 3 I would do the Layla. It’s best for side sleeping. Hi Joe, thanks for the review. My husband (275 lbs) and I (175 lbs) are both side sleepers who hate our Ghostbed now. (I loved it past the trial, but then it got worse and worse and almost 2 years later, we’re looking for a new mattress.) I have chronic pain all over my body, and my husband has back pain now because of our mattress, but is not in pain generally. 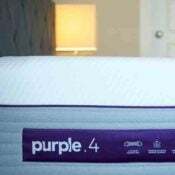 I’ve been intrigued by Purple since my original mattress search, but it didn’t rate well for my husband’s weight. The New Purple has since caught my attention. You recommend Purple 4 for heavier weights, but Purple 3 for back pain. What do you think? I would think the Purple 3 would be perfect for you two. 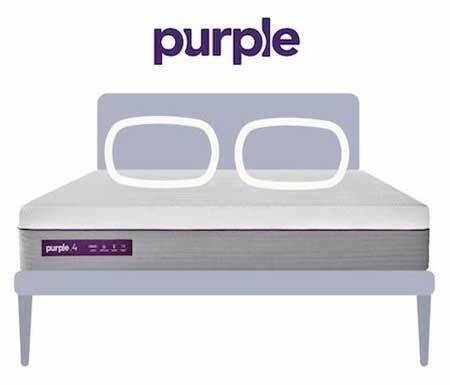 I am a petite side sleeper, currently trying out a Purple 3 mattress. I am sot sure it will work out for me: not enough pressure relief in the shoulder area; better rest with raised back & leg, but my lower back is not always happy. Which mattress would you suggest I should consider if I decide to get a new one. Thanks for your advice. I would say the Nolah if you are petite. After doing quite a bit of research, we bought two twin Purple 3 mattresses with adjustable frames. My husband–heavier than I am–wakes up with stiff neck. I have a good rest of about 4-5 hours on the new mattress–once I manage to fall asleep– if I raise both ends. However, this position is often not comfortable for my back, especially not for the entire night. If I try to sleep on my side, I feel my shoulders cramped, even though Purple 3 is recommended as one of the best for pressure relief. Yes, I have sensible lower back in addition to neck and shoulder issues, and I prefer to sleep on my side. Which “side sleeper” mattress do you think I should try next. Thanks for your suggestion. I would just caution you about a stiff neck. Usually with stiff necks the culprit is the pillow and not the mattress. I would consider the Nolah 12″ for you guys but again I would take a look at your husband’s pillow situation for his stiff neck. 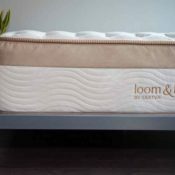 How does the Dream Bed LX 670 Plush exclusive to Mattress Firm compare to those you have reviewed? I have mild lower back pain, weigh 185, height 5′ 7″. I am a side sleeper for the most part. I am currently tossing & turning however all night & generally sleep only 5 hrs. before waking on my 14 year old Temperpedic. Thanks for any information on the LX 670. I haven’t reviewed that one yet unfortunately. I weigh 240 and will turn 67 sept. 6th senior citizen discounts on any? grand turkplush mattress set! We are both side sleepers and because of discomfort toss and turn a lot. My husband is 6’4″ and I am 5’4″. We both have neck and back pain. Wondering if I made a poor choice? On SS so on a budget! Need some sleep! I think it can be a good choice but it just depends!